June I began my journey to a fitter, healthier me. I had comfort eaten my way through our first 6 months here in Australia and knew I had to do something about it. I was on a sugar/carb crash cycle every day, drinking coke, eating chocolate, biscuits and crisps and skipping meals. Not to mention the bread, pasta and pizza. I was exercising a lot, but my diet was shocking. So, I did something about it, initially with the help of Lisa Williams and Scott Williams. I have managed to eat well (mostly) for 3 months now. I still struggle with sweet things and really struggle to say no to pizza when it’s in front of me, but because I now feel so awful when I do eat it, I am finding it easier all the time and so finally feel this is a permanent change and not a quick fix. I started the SFS challenge on 1 Aug. This opened to my eyes to the fact I can actually eat A LOT of food, not feel hungry and still lose weight and get healthier. I’ve enjoyed the variety and the fact the plan is not too prescriptive. The support and knowledge from Stacey and Matt has been invaluable – thank you for sharing this and supporting all the way. You have honestly set me up for life and the knock on effect is the impact this will have on my family’s health and well being. This is priceless. 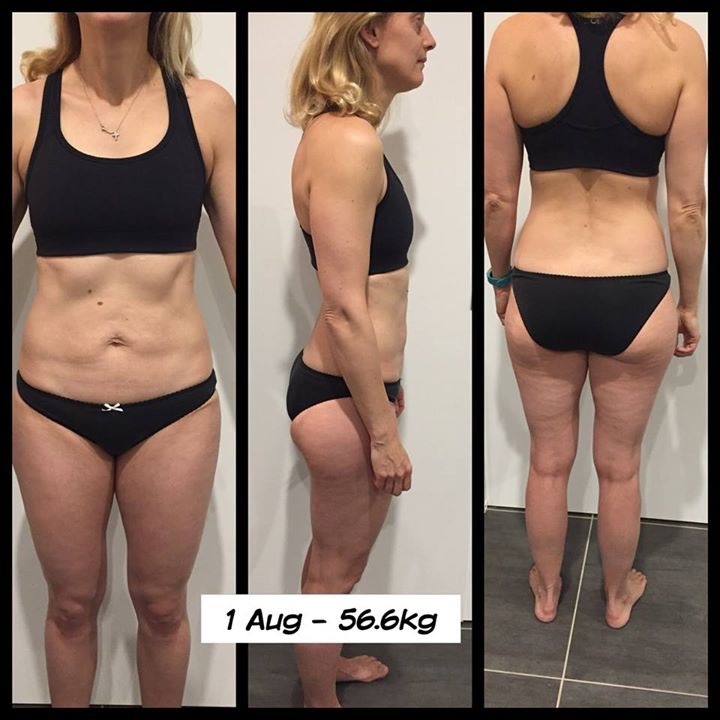 Even though the tape measurements aren’t that impressive the reduction in cellulite is the best bit about this for me – I never thought this could happen! 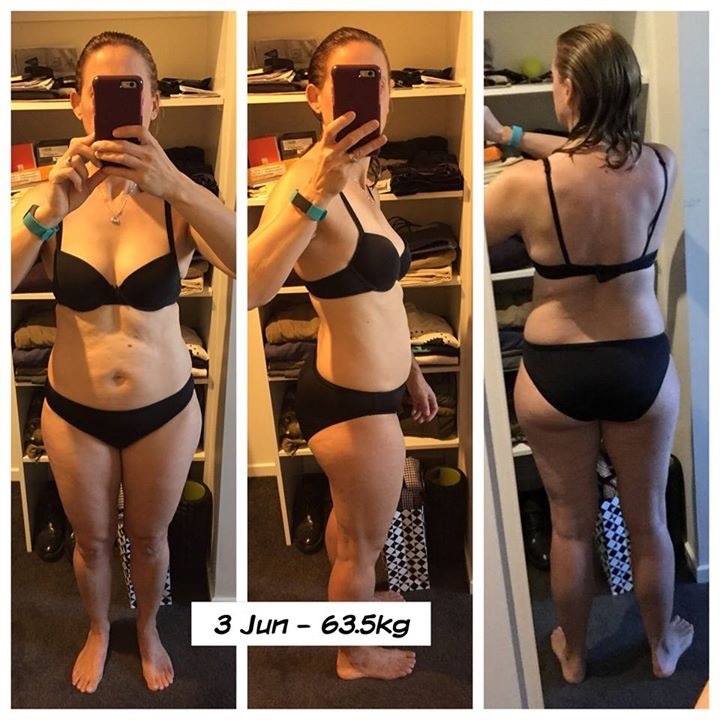 Still a long way to go in terms of fat and cellulite and determined to be even better in another 3 months when we go to Fiji for Christmas (my new bikini in the last pic)! Oh, and the thought of being able to wear shorts this summer is really very exciting!